Beijing, China, marches ahead in the global power stakes, its armoury of world-class hotels strengthens year on year, if not month on month. It’s not all flashy five-star high-rises either; the city’s timeworn alleyways are home to secluded boutique boltholes and restored courtyard residences fit for an emperor. Are you visiting Beijing very soon? 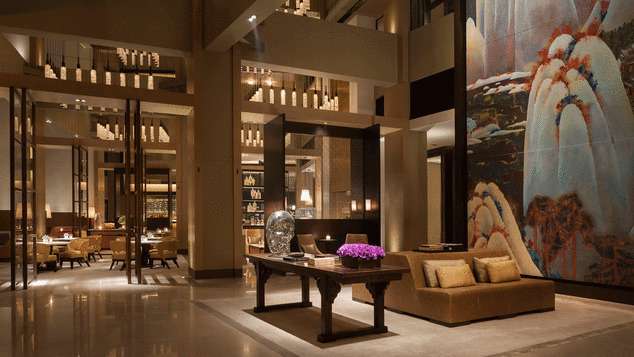 Rosewood ruffled a few hospitality feathers when it shook up Beijing’s hotel scene in late 2014. From the staff’s individually tailored suits to the hand-picked books and objects adding personality to the 240 guest rooms and suites, no expense was spared and every detail pored over. 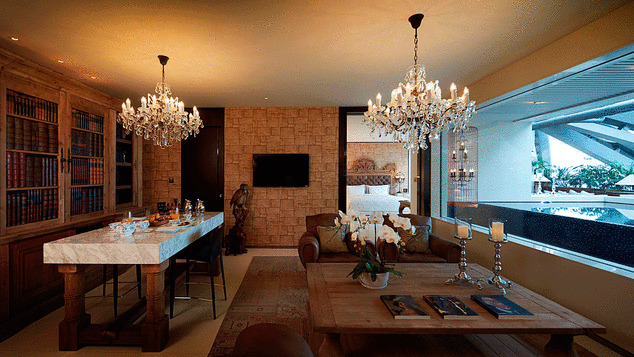 Discreetly dazzling design throughout comes courtesy of Australia’s BAR Studio, whose hotel client list reads like the ultimate round-the-world luxury vacation. Gorgeous digs aside, food is another strong suit: rustic-chic northern Chinese fare at Country Kitchen, Red Bowl’s hip hot pot, and fine French at Bistro B. The advantage of being one of the first ultra-luxury hotels to open in the capital is getting to choose your location: The Forbidden City (not to mention the city’s best Peking duck restaurants) are a short stroll away. A rooftop bar slated for 2018 (with views of the aforementioned palace) promises to be the jewel in the crown. Fifth Avenue’s legendary Grand Dame made it to Beijing in 2014, settling just across the street from the Peninsula and a short sedan chair ride away from the Forbidden City. Four Seasons touched down in Beijing’s embassy district in 2012, far from the sights but handy for the bright lights (and late nights) of Sanlitun. Each of the 313 guest rooms boasts a deep-soaking tub with a view, ceiling-mounted Bose speaker system, espresso machine, and welcome fruit. And though room design is somewhat conservative, it’s in the restaurants where Four Seasons lets its hair down. 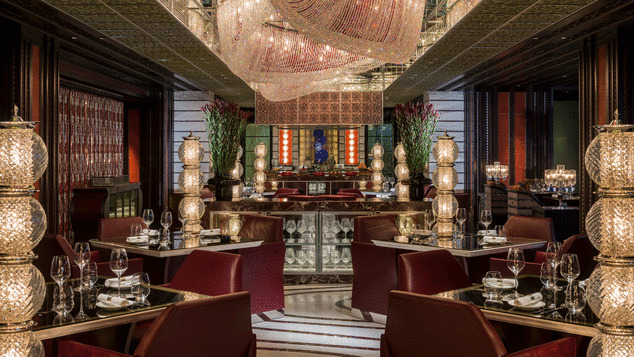 Mio, for modern Italian, seduces with colored glass and clever gastronomy, while Cai Yi Xuan’s delectable dim sum and club-lounge ambience is another head-turner. Highly regarded, the Spa has earned a following for its east-west therapies and lavish treatment suites. That means priceless sculptures and paintings by contemporary art superstar Zeng Fanzhi in the lobby, its own tea plantations supplying Yuan Tea House (and the in-room tea ceremony sets), and hands-down the glitziest (and booziest) Sunday champagne brunch in the capital, or anywhere for that matter, served at its stunning N’Joy restaurant. Up in the leafy Lido district, it’s a schlep from the sights but handy for the 798 Art District and the airport. 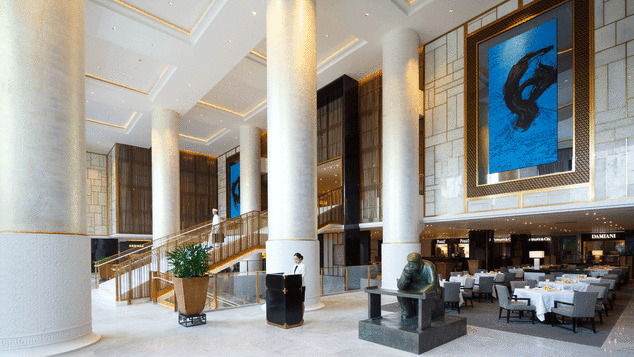 A survivor of Beijing’s 2008 coming-out party, The Opposite House has managed to stay at the top of its game while other Olympic-era luxury hotels have faded from view. Partly this is because the hotel was so well-designed the first time around that it still seems to do effortlessly cool, well, effortlessly. 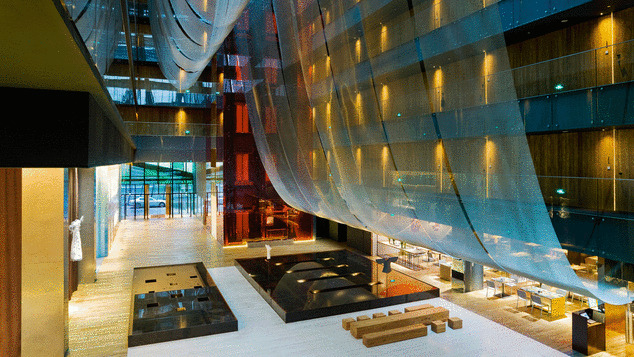 It’s also testament to Swire, the switched-on Hong Kong operator dedicated to restless innovation. 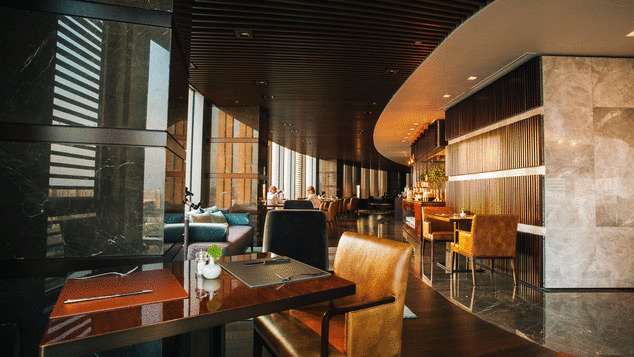 The hotel’s restaurant portfolio was enhanced in 2015 with the addition of Jing Yaa Tang, serving perfect Peking duck from beautiful brick ovens, and delectable dim sum at lunchtime. A favorite of media types and celebs, it’s also the best situated hotel in the city for night owls. 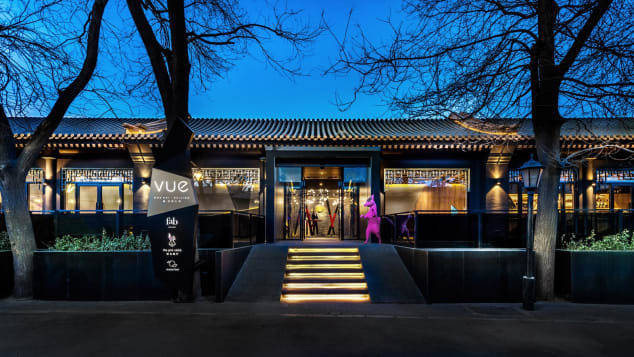 Housed in a renovated 1950’s government complex on the shore of Houhai Lake, Vue is potentially the most exciting thing to happen to Beijing since the Yongle Emperor started work on a crash pad that would come to be known as the Forbidden City. Throw in a rooftop cocktail bar with pool and DJ booth, a warehouse-like Spanish eatery and a superb bakery, and you’ve got the recipe for serious fun. On paper, this hotel simply doesn’t add up. For a start it’s inside a shopping mall (albeit Beijing’s trendiest, with fabulous restaurants), and has individually themed floors (and rooms) a la Disney, including one lined with bicycles. And there’s the incongruous sensation of kicking back on your balcony surrounded by plants in a sub-zero Beijing winter, warm and toasty within your space-aged glass pyramid. Only in China, as they say. Aman Summer Palace was the first of Aman resorts’ hotels to open in China. 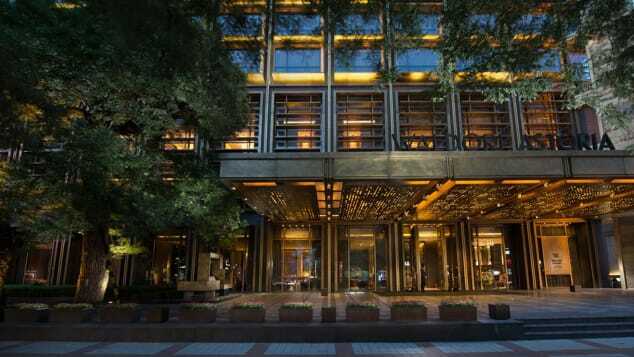 An unlikely metropolis for Aman junkies more used to Bali or Thailand, Beijing’s uber-luxe resort is outside the center, housed in an annex of the capital’s second most prized historic treasure, the Summer Palace. Opened in 2017, this is the 10th property in luxury hospitality giant Shangri-La’s mid-range Jen brand, targeting media-savvy millennials. It’s also the fanciest, offering spacious five-star digs and facilities despite a four-star price tag. The ace in the pack is Train Yard, a vast gym with pool spread over two floors, boasting enough space-age fitness gear to get an Olympic team into shape. 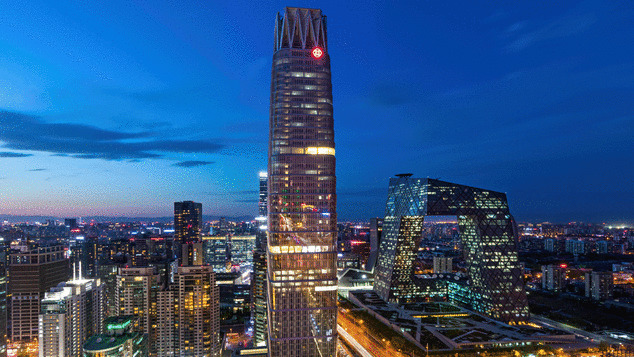 The best guest rooms offer floor-to-ceiling views of the Rem Koolhaas’ landmark CCTV Tower opposite. You can check out website of these hotels in-case you have further enquiries.